House of Fraser is a UK-based multichannel department store and the third largest department store chain in the UK with 61 stores, located in towns, city centres and regional shopping centre locations. House of Fraser’s fast growing Buy & Collect service has been driving significant footfall into their stores, and creating great opportunities for ‘add on sales’. But with most customers coming into stores during the same peak hours of the day, House of Fraser was experiencing operational challenges. Qudini In-store Click and Collect System was deployed into House of Fraser’s Buy & Collect departments in 2015. Very quickly after implementation, this resulted in a much improved customer experience. 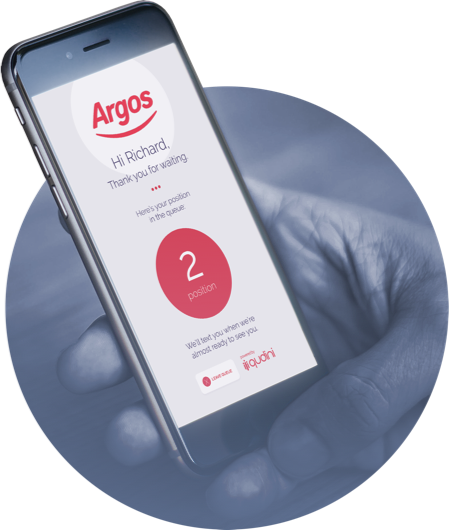 The queuing time reduced by over 65% to a 10 minute wait time and the retailer saw a 20% increase in unplanned purchasing from customers, equating to over £850K in additional revenue potential per annum across their stores. in unplanned purchases, now that customers were able to browse the store whilst they waited to collect their order. because they can better allocate staff roles around the counter and reduce trips to and from the stockroom. It is also working with start-up, Qudini, which provides a digital queueing solution to improve the customer satisfaction.